The Monmouth Academy girls will be looking to repeat as MVC team champions on Saturday at the University of Maine at Augusta. They will enter the favorites having captured the team win at the MVC Preview meet back in September by 11 points over Boothbay. Monmouth has a 22:39 team average for the top 5 with a pack time of 1:36. 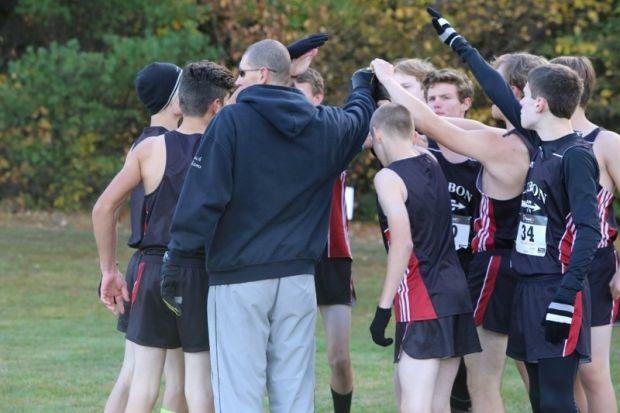 Boothbay will be looking to make up the 11 points they were behind at the preview meet, they have a 23:56 average with a split time of almost eight minutes. Winthrop predicts to be the third team based off 5k results so far this year, that is in line with the third place effort of the Ramblers at the preview meet. Oak Hill, Spruce Mountain & Madison figure to battle it our for top five finishes. The Boothbay boys have been the premier team in the MVC winning the previous four conference crowns, they are the heavy favorites to make it five in a row on Saturday. Coach Nick Scott's squad easily won the MVC preview meet with just 36 points, besting the rest of the conference by 56 points. They have a 18:48 team average with a 1:50 pack time. On paper Madison only measures up as the seventh best team however the Bulldogs threw those predictions aside at the preview meet where they were the runner-ups. The rest of the conference is tightly grouped with Monmouth Academy, Hall-Dale, Carrabec, Dirigo, Lisbon & Winthrop in the mix for a top three team finish. 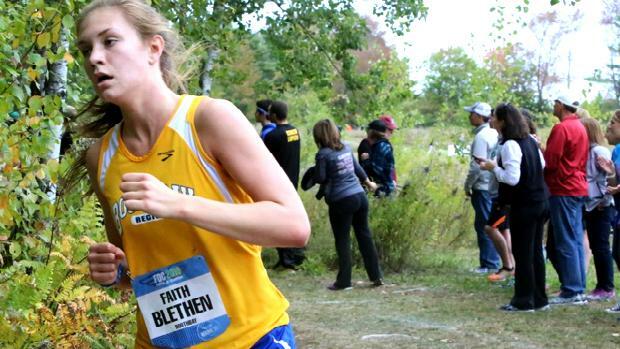 Faith Blethen of Boothbay will be looking to win her third consecutive MVC conference individual title on Saturday. The junior won the MVC preview meet on the same course running 21:24 a few weeks ago. Her biggest competition might come from her sister Glory who was second to Faith at the preview, and has a faster 5k time of the season by 25 seconds than her older sister. Freshman Haily Abbott of Boothbay has the fourth fastest 5k on the year in the conference with her 21:59, she finished third at the preview meet. Kaitlyn Hunt of Monmouth Academy has run 21:45 this fall, the third best in the conference, Hunt finished 6th at the preview meet. Oak Hill's Haley Gunn is one to watch, Gunn has run a best of 22:21 this fall, and placed fourth at the preview meet. Destiny Anair of Richmond was fifth at the preview and will look to match that effort or move up on Saturday. Winthrop's Maya Deming is a candidate for a top five finish, Deming's best effort of the season is a 22:10, she also placed sixth at the preview. Her teammate freshman Madison Forgue is a stride behind her at 22:12. Another athlete to keep an eye on is Danielle Parker of Monmouth Academy who has the fifth best 5k time in the conference at 22:09. 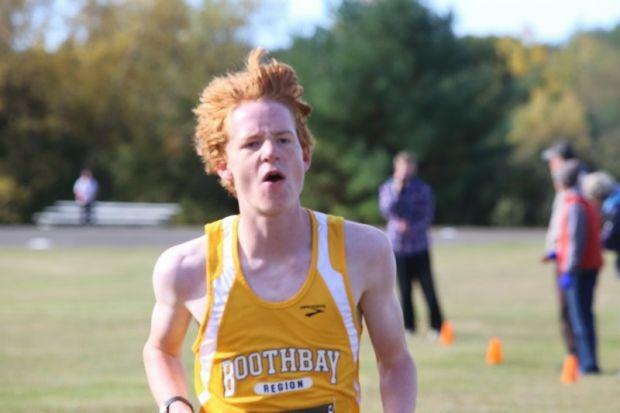 Boothbay junior Blake Erhard enters as one of the individual favorites, the Seahawk won the preview meet by 24 seconds, and has the second fastest 5k in the conference at 17:44.90. A year ago Erhard ran to a third place finish. Telstar senior Gaelan Boyle-Wight enters the championship with the fastest 5k in the field this fall. Boyle-Wight won the unseeded "B" race at the Festival of Champions in Belfast, he was third at the preview meet finishing 44 seconds back of Erhard. He was sixth in the championship last fall. Owen Libby of Dirigo has a best of 19:26 on the season, he did that placing fourth in the preview meet. Joe Crocker & Ethan Thombs of Monmouth Academy have the fourth & fifth fastest 5k times in the conference so they can't be overlooked. Thombs was ninth in the preview meet. Wiscasset's Gage Varian was fifth in the preview meet, and has run the tenth fastest time in the conference with his 19:29. Ford Strout of Richmond is one to watch for a top five finish, he was sixth in the preview just six seconds outside the top five.